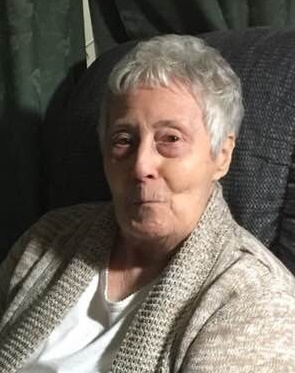 Frances T Brunet, age 91 of L’Anse, MI passed away on Friday, January 18, 2019 at Baraga County Memorial Hospital. She was born November 7, 1927 in Pequaming, MI daughter of Raymond and Ruth (Perry) VanAbel. Frannie graduated from L’Anse High School. She married Raymond Pierre Brunet. Frannie worked as an admitting clerk at Baraga County Hospital. She loved to be out at her camp. Frannie was a member of Sacred Heart of Jesus Church. Surviving are her sister Lillian Seay of Kerreville, TX, and numerous nieces and nephews. Preceding her in death are her parents; husband Pierre; special friend Jack Lampsa; siblings, Evelyn Cote, Margaret Soli, Gloria Darcy, John VanAbel, Ray VanAbel, and Helen Eliason; and her dog “Baby”. A memorial mass will be held on Friday, January 25th at 11:00 a.m. at Sacred Heart of Jesus Church with Fr. Corey Litzner officiating. A luncheon will follow in the church hall. Burial will be in the L’Anse Evergreen Cemetery in the spring. The Jacobson Funeral Home is in charge of arrangements.